Last week I got a voice mail from Donna at the Better Business Bureau. She assured me nothing was wrong but asked that I return her call. I had never gotten a call from the BBB before, so I was curious to see what she wanted. And just a tad bit suspicious. Turns out my suspicions were correct. This was a sales call. From the BBB. 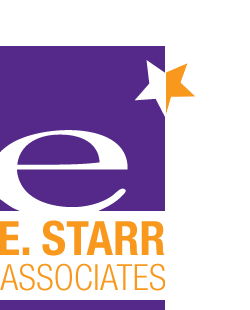 Given that no one has lodged a complaint against E. Starr Associates in the 11+ years I’ve been in business, and my less-than-10-employee business size, I qualify to join the BBB for only $47.95 per month. That’s only about $1.60 per day! “Can you not see the benefit of having our logo and how it will help you convey trust?” asked Donna. No Donna, I cannot. It’s not the money. It’s just not how potential clients will come to trust me (and know and like me before that). I’m a marketing consultant. I specialize in brand development, particularly Brands in Adolescence. When clients work with me, they often confide details about their business and themselves. We work together for an extended period of time (often months) and they invest a substantial sum for my expertise. Professional services colleagues, beware! (I suspect you already are.) Don’t be fooled into forking over marketing money that will not help you gain more business. So has the BBB lost its mojo? Is it no longer relevant? Hardly. But Donna needs to refocus her efforts where they matter more. Where is that? When would a BBB logo help potential customers trust a business more, moving them closer to the decision to buy? Likely to find your business online or from the yellow pages. If your business offers a regularly needed service or product for which a customer may not have a recommendation or other review available, a BBB logo might help reassure them of your good business practices. Plumbers, electricians, and window washers fall into this category, as well as appliance stores, pet groomers, and car dealerships. Sending $$ without personal contact. If your online store is relatively new or a small business that doesn’t have 26,103 reviews spread over 8 different sites from BizRate.com to Yahoo (as drugstore.com does), a BBB logo or similar endorsement may help you gain credibility and traction in the marketplace. It may also help you mitigate negative ratings if you have a few of those out there, as many reputable online businesses do. Trusting you with their valuables. For some people, the more evidence of trustworthiness they have before allowing you to handle their precious items or to enter their home, the better. Local dry cleaners, house cleaning services, contractors and gold buyers come to mind here. Don’t get me wrong: I am not in the business of selling BBB endorsements! The key point here is this: Know your target market’s decision-making considerations. When looking at a marketing investment of any size, only spend where you can help the prospect know, like and trust you more. Given inconsistent levels of vigilance among the regional BBBs and the tendency for some to up mediocre ratings for businesses who pay for accreditation, Consumer Reports is now advising consumers to put little credence in high grade ratings or accreditation. In light of this finding, I would advise against investing in BBB accreditation for any business. Seek other avenues of endorsement or accreditation that your customers value and that your business warrants to help build trust among your target audience. These could be simply testimonials, which happy customers give for free! Is Your Brand In Adolescence? Great article Evelyn. I just got a call from the BBB and have received many over the years. I am a direct seller so I don’t really need the BBB endorsement for myself but something just doesn’t ‘feel right’ to me about this method of getting an ‘endorsement.’ It might be my aversion to marketing cold call, but I just don’t like this “BUY an ENDORSEMENT” tactic. I understand this type of marketing can be legitimate, but the BBB still has a perception of being almost like a NON-PROFIT organization. Anyway, thanks for the good article, and great material here at the site. Glad you liked the article Wesley. Unfortunately I think the BBB has continued to erode their credibility since I wrote it, They are still offering to sell endorsements. I agree with you that they have an aura of being almost like a non-profit, but if they continue to pedal endorsements, that perception will fade. They need to revisit their business model and their brand to stay relevant in a world of free online reviews and Angie’s list. I have an aversion to marketing cold calls too!